In order to prove that the chaining argument is tight, we will need some additional properties of Gaussian processes. 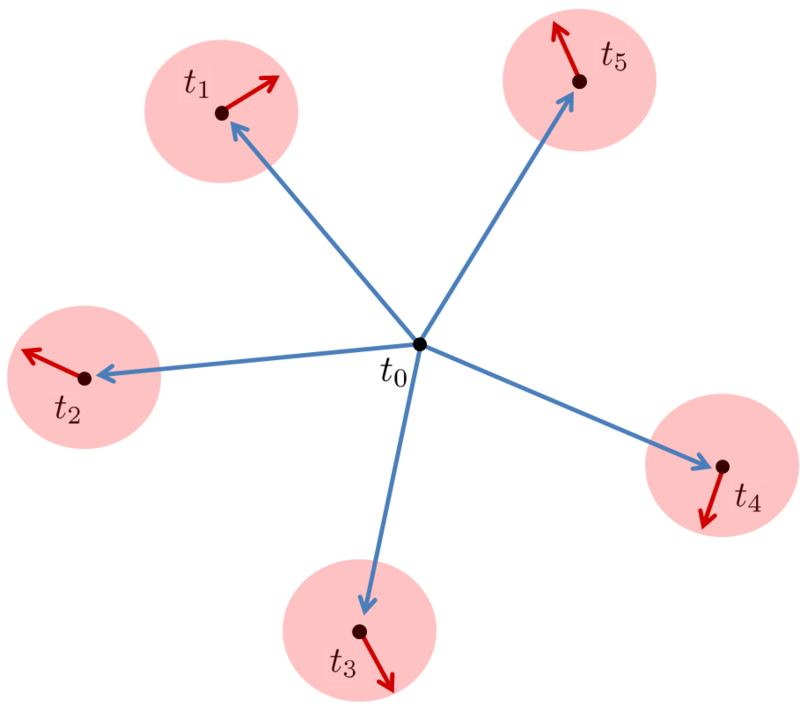 For the chaining upper bound, we used a series of union bounds specified by a tree structure. As a first step in producing a good lower bound, we will look at a way in which the union bound is tight. The claim is an elementary calculation for a sequence of i.i.d. random variables (i.e. ). We will reduce the general case to this one using Slepian’s comparison lemma. There is a fairly elementary proof of Slepian’s Lemma (see, e.g. the Ledoux-Talagrand book), if one is satisfied with the weaker conclusion , which suffices for our purposes. To see that Lemma 2 yields Theorem 1, take a family with for all and consider the associated variables where is a family of i.i.d. random variables. It is straightforward to verify that (1) holds, hence by the lemma, , and the result follows from the i.i.d. case. 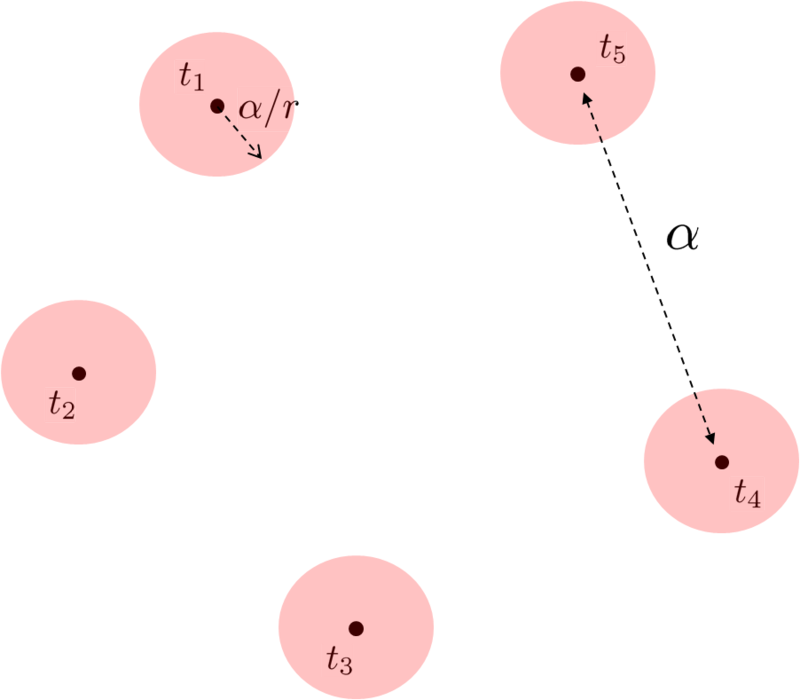 The proof of the preceding theorem relies on the a strong concentration property for Gaussian processes. First, we recall the classical isoperimetric inequality for Gaussian space (see, for instance, (2.9) here). Using this, we can prove the following remarkable fact. A notable aspect of this statement is that only the maximum variance affects the concentration, not the number of random variables. We now prove Theorem 5 using Theorem 4.
for , where are standard i.i.d. normals, and the matrix is a matrix of real coefficients. In this case, if is a standard -dimensional Gaussian, then the vector is distributed as . Using this theorem, we are ready to prove Theorem 3. I will only give a sketch here, but filling in the details is not too difficult. since our gaussians are centered. The problem, of course, is that the events we are discussing are not independent. But now by choosing , the error term is absorbed.